We are pleased to invite you to a day at the Sanctuaries of Beauraing dedicated to the sacrament of reconciliation. As part of this year’s 2019 pastoral theme, “I will say something to each one of you in particular” (Mary in Beauraing, January 2, 1933), we want to reflect, between ordained priest, how we can to speak to each and every one especially when we give the sacrament of reconciliation. The day will be animated by Father André Haquin. It will take place in the hall of the Marian Museum of Beauraing Sanctuaries, 7 rue de l’hawthin in Beauraing. It will start at 10:00 with the reception, then the thirds. 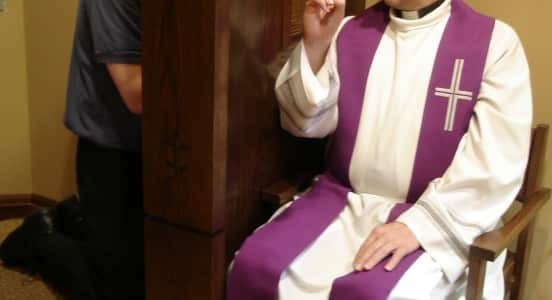 At 10:30, Father Haquin will discuss the practice of the sacrament of reconciliation today in our regions. We will then have a question and answer time. Everyone will eat where they want. This can be an opportunity to share the table between colleagues in a Beauraing restaurant. At 2:00 pm, we will return to the Marian Museum Hall for a time of crossroads and fraternal exchange about our practice of the sacrament of reconciliation. We can then take a time of common prayer, before leaving, around 15:30. In the joy of meeting you there!